BlockChain CMS is an online shop solution that offers a wide range of out-of-the-box features that allows online stores to be setup fairly quickly with ease. It’s a very simple one click install. 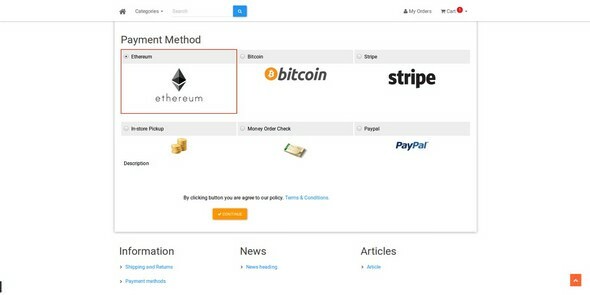 BitCoin and Ethereum blockchain payment modules included. API for blockchain payment confirmations included. Addons and extensions support.